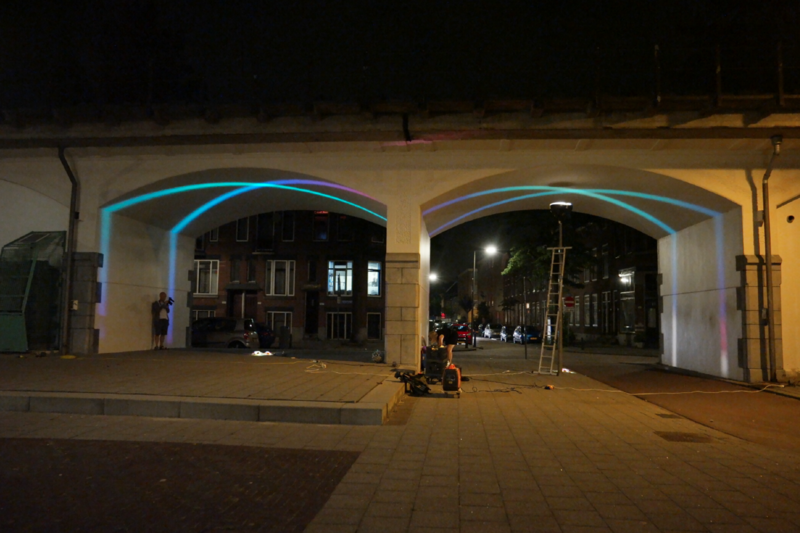 Trace of passing is an urban lighting design with the idea to illuminate the old arches underneath the railway viaduct in Rotterdam. (known as the Hofbogen). 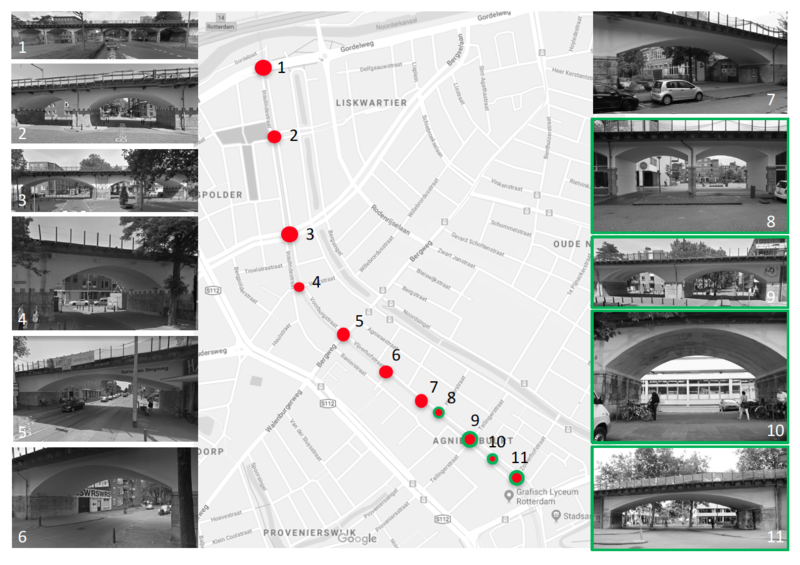 The municipality of Rotterdam, housing cooperation Havensteder and Stipo invited entrepreneurs to pitch a plan with the goal to improve several plinths (active ground floors) based to the user’s experience of the people passing through the neighbourhood in Rotterdam north. 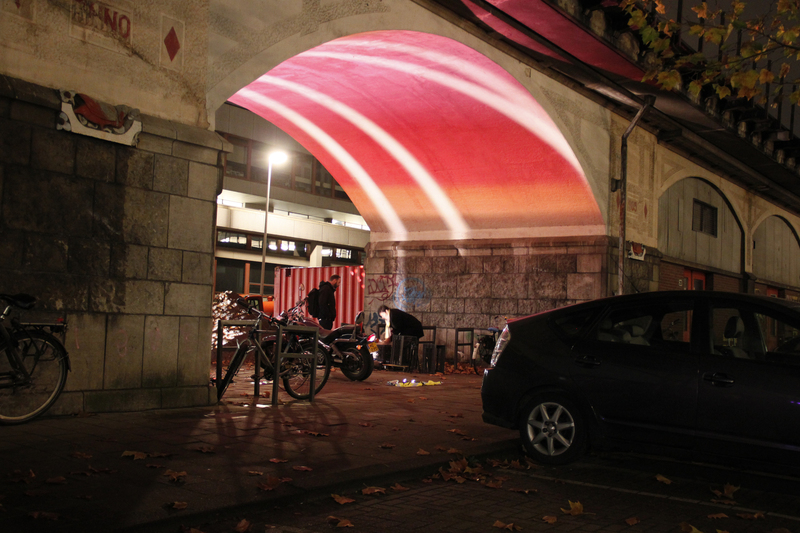 Trace of passing is an urban lighting design with the idea to illuminate the old arches underneath the railway viaduct (known as the Hofbogen). Between 1904 and 1908 the Hofbogen line was built, connecting Rotterdam Centre with The Hague Centre and Scheveningen Beach. The concrete viaduct offers a curved promenade with several large arches so that traffic and pedestrians can pass through the underneath arches. Since 2010 the line has been neglected and in 2017 the railway fittings such as the rails and overhead power lines were removed. 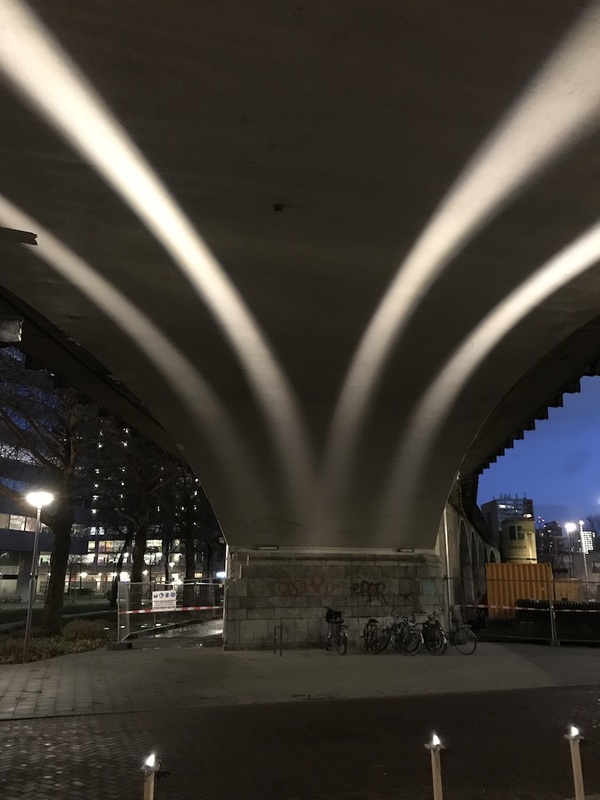 Together with Beersnielsen we have the idea is to illuminate the former railway line at the curved ceiling of eleven arches in Rotterdam North, as a glimpse of the past. Each curved arch has it unique character drawn from the specifics of size, shape, place and surrounding. 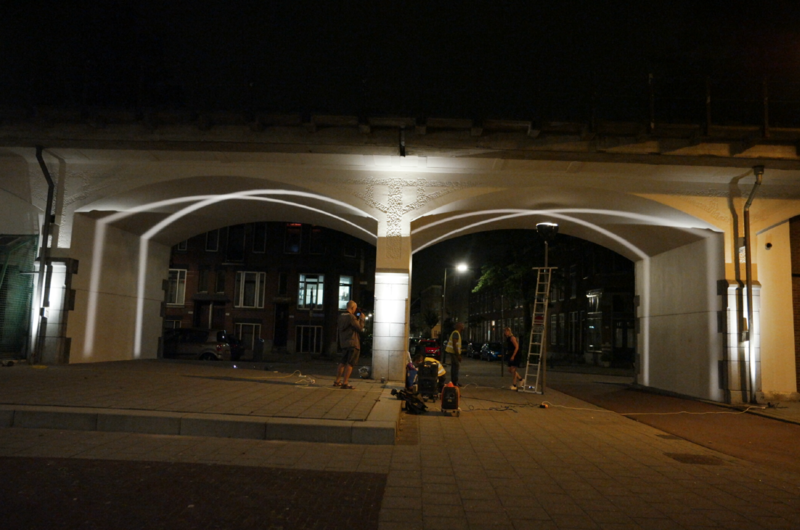 ‘Trace of passing’ will unify the sequence by bringing the “longest icon’ of the city to life at night through coloured lighting in combination with the parallel light lines that are projected at the arches. Beside the curved promenade the coloured gradient reinforced the sense of direction and ‘moving from A to B’. Since the sunrise is at the east side of the Hofboog line and the sunset at the west, the chosen colour scheme contains the colours of a sunset in the evening when daylight fades. Some arches have a lot of traffic passing it, others are just there for pedestrians or cyclists. We play with this information in the kind and amount of light we use per underpass. Light should make people feel save to pass through and to stimulate the feeling of pride and ownership in the neighbourhood. At the moment we are talking with several stakeholders about the implementation of this idea, so you have to wait a while before you can see it. Below more photo's of test we did at the location.